What others should know: I was looking for a heavier pellet to shoot in my AirForce Talon SS with a 18" barrel at longer ranges (75 yds). 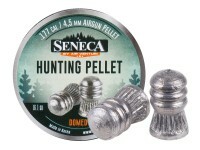 These pellets have a better BC than most, so they should have a better long range accuracy. 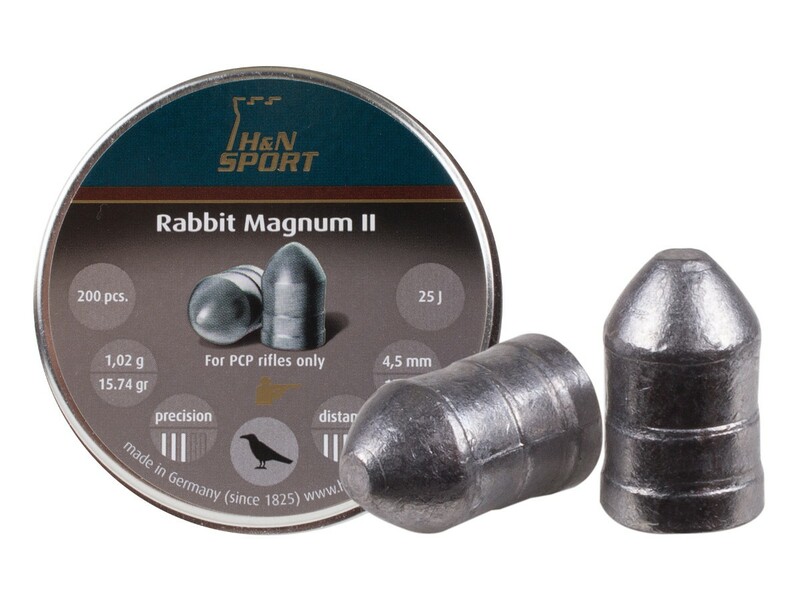 I have only tried them in my Rem NPSS at short range, and they do ok with a 485 fps. today I'll put them thru the Talon and see how they perform. As with any pellet, if the barrel doesn't like them, they won't shoot very accurate. Get a tin of whatever looks good and give them a try. If they shoot good, get a bunch, if they don't , plink with what you have and get another. Things I liked: Tried these first in a Beeman Silver Kodiak. Yes, the can says PCP only, but a magnum springer has no trouble firing these in case anyone is interested. They are difficult to seat but I was using one of the pellet pens with an integral seater and with extra effort, they seated well. I like these pellets. Can't speak to penetration because I haven't checked to see how far they penetrate into my backstop. I use old magazines (about a 3" thick stack inside of a resized cardboard box for a backstop. It is silent and traps everything I have fired into it so far including including pellets from my .22 Marauder. I do this for the indoor backstop too but it's a larger stack. Mine will blow through 3in paper. (Crosman summit ranger and a gamo big cat 1400 (I got for $63 new/unused in box). Thanks for the info, I really wanted to try these as well as a few other heavies. 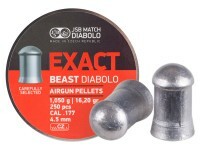 So I purchased a tin of these and the piledrivers in .177 cal. They slide into the breach just fine through my mag and my single shot tray until I have to push the bolt forward all the way. Then they just jam and will not fire. 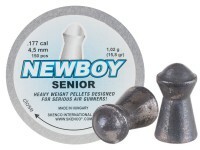 I tried them in my Crosman f4 nitro piston and still a snug fit but they fire just fine. Any idea why my pcp will not fire these but my break barrel does??? 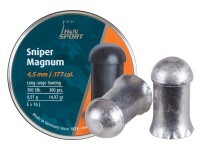 Does anyone know how well this pellet will work in my Gamo Magnum .177? 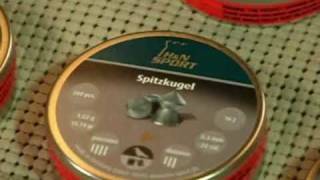 Will this kill a squirrel or rabbit?